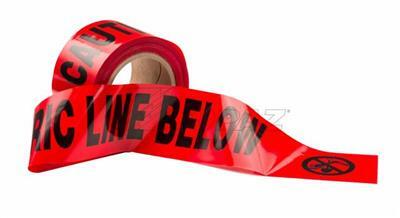 With a traditional and familiar design, Topaz’s non detectable caution tape is instantly recognizable as a hazard caution. 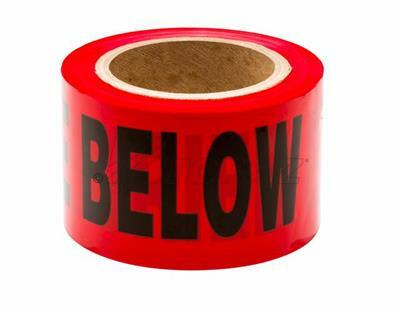 Available as a general deterrent in yellow with black lettering or red with black lettering to indicate buried lines. Strong and durable polyethylene construction will withstand exposure to inclement weather; available in 3” by 300’ or 3” by 1000’ sizes.